How to create a new chain? How do I know my chain is working? 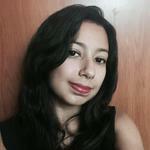 What does the chain look like on the app? How can the attendee register for an activity in the application? Activity chains allow you to connect some activities with one another so that a person can not sign up for one if they are registered in another, even if they are on a different time or day. This feature is useful when you have a limited number of activities in an event, or when an activity is repeated several times during the event, because it can give an opportunity for a number of more people to participate in them. 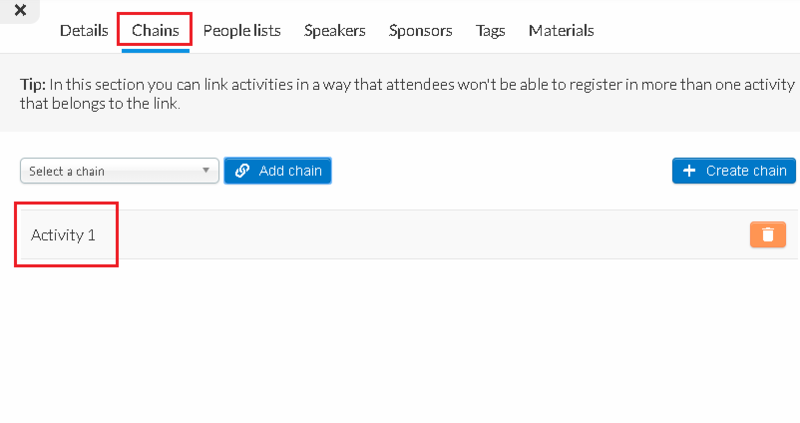 To create a new chain, you need to click on 'AGENDA'> ‘VIEW ACTIVITIES'. Chain creation follows two steps: (1) creating the chain, (2) connecting the chain to all related activities. Begin by creating the chain: In AGENDA> ACTIVITIES > EDIT, click the activity in which you want to add a chain and then in CHAINS. CREATE CHAIN: This will create a chain with the name of this activity, and it will already appear just below the checkbox. After creating the chain, proceed to step (2) which is to connect the chain to all related activities. To create a chain, just select the activity that will be connected to the chain, and in the same 'CHAINS ' tab , select the chain created in step 1’s example in the options box and click on 'ADD CHAIN' . To save, click 'END' . To check if your chain is working on the platform, check if all the desired activities are with the same chain in the activity list. If you wish, you can also test your application, enroll in one of the connected activities and see if you receive a message that will prevent you in enrolling in chained activities. 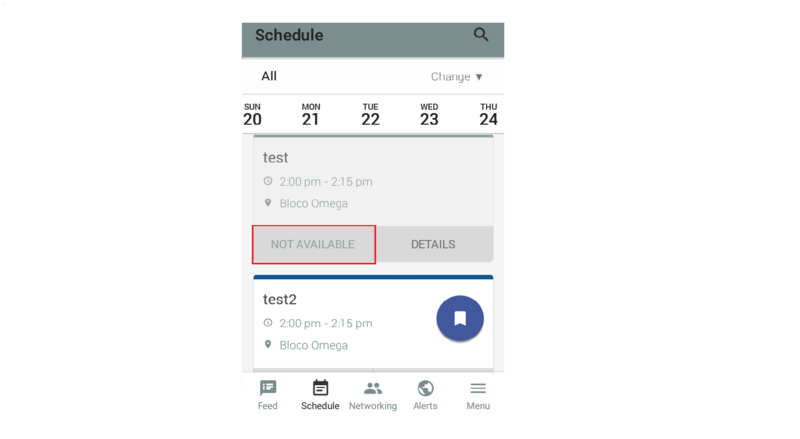 When accessing the calendar, the attendee will see the two activities, but when signing up for one of them, the other will automatically become unavailable for enrollment. The attendee can do this in two ways: (1) Pressing the ‘Pin’ button on the event calendar or (2) by clicking on "Details" of the activity, then in the Interactions column pressing 'Pin'.